Dunbars. 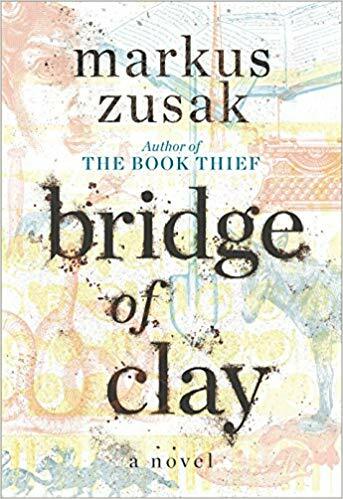 There are loads of levels of meaning for the bridges in Marcus Zusak’s novel titled, Bridge of Clay. Protagonist Clay Dunbar is building a physical bridge. He also bridges the family relationships and finds identity as a Dunbar boy, one of five brothers. Zusak bridges past and present in erratic ways as he tells the Dunbars’ story in mixed pieces of exposition. The building blocks become clearer over hundreds of pages of what seems unclear or circular while on the reading journey. Patient readers will be rewarded with a finely written family story. Rating: Four-star (I like it) Click here to purchase Bridge of Clay from amazon.com.